Please bear with me if the quality of this post is not as high as it should be. Tax season in the US is coming to an end in just a few short hours. Because of that, I spent more than 20 hours working in just the last two days. That means my Monday Motivation post did not get written in a timely manner, so I am trying to knock this out at 5:00 AM Monday morning before I run off to another crazy day at the office. 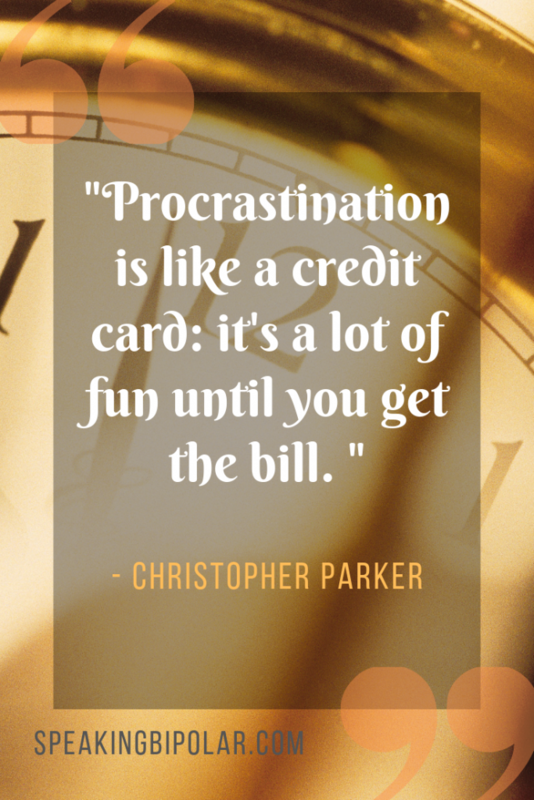 Are you a procrastinator? Hopefully not. 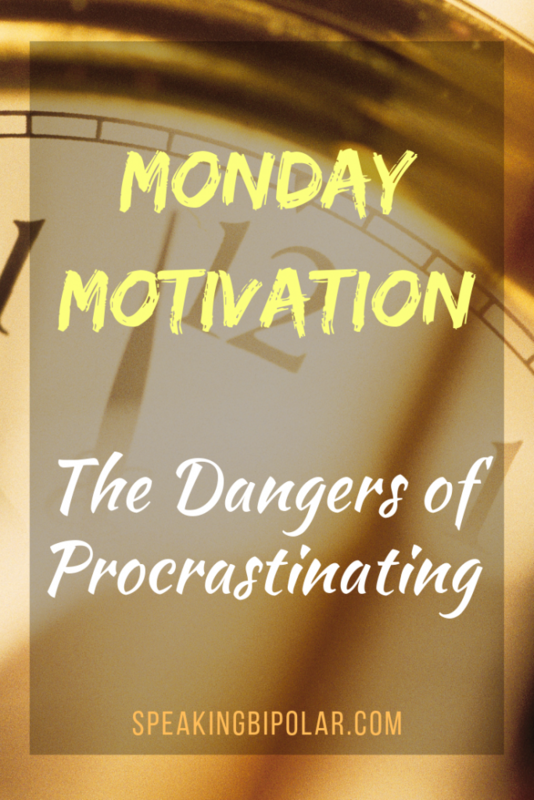 While procrastination is fun on the front end, it usually causes increased stress and anxiety as the final deadline approaches. In high school, which was many years ago now, I remember a lot of kids that wouldn’t start an assignment or begin studying for a test until the day before it was due. I have lost touch with most of them, but I can’t help but wonder if they learned to change that bad habit as they got older. Procrastination is causing me lots of stress these last few days, but it’s not because I procrastinated. From the time you are old enough to learn about taxes, everyone knows that taxes are due by April 15. That date has been solid my whole life, and I am well into my forties now. Even so, many, many, MANY people do not think about starting their taxes until the last few days before the deadline. That translated to my office phone ringing until after 7:00 PM last night (and it was Sunday) with people in panic mode because the deadline is finally upon them. Procrastinating can also cause problems for both your physical and mental health. Many people wait entirely too long to search for help for mental illness because they are either afraid to get help or convince themselves that things will be better in a few days. After years of procrastinating, I finally got help for my mental health in the mid-1990s. Eventually, I found an excellent talk therapist. One thing she said has always stuck with me. For years, I knew that something was wrong, but I learned to survive with the sleepless nights and concerned looks from friends and family. I truly believed that everyone hated themselves, found no enjoyment in life, and thought frequently about ending it all. Things had to hit rock bottom before I finally sought out the help I needed, and it was nearly too late when I did. I was checked into the hospital at age 24 at a mere 116 pounds. I am 5 foot 20 inches to help put that in perspective. 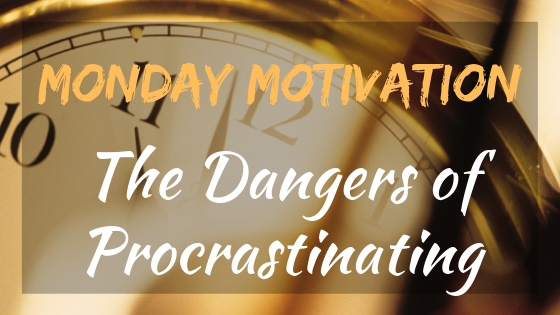 Procrastination had almost cost me my life. In time, things improved drastically, and I now live a relatively happy and productive life. I regret the years that I procrastinated about getting help and all the pain I suffered as a result. This week, pick one task that you have been procrastinating about doing and get it done. If possible, pick two or three. You will feel so much better if you do. If it’s a mental illness you have been putting off treating, contact a medical professional today. You don’t have to feel the way you are feeling right now. Life can be so much better. Oh, and if you are one of my readers in the United States, taxes are due tonight at midnight. If you have not already filed – GET IT DONE TODAY. As I’m sure you’ve noticed, I love quotes. One of my posts that I am most proud of is 12 Best Quotes For A Happy Life With Mental Illness. If you have not read it already, or just need an extra boost today, head over there now to get some motivation and inspiration. I’m considering adding links to this section to other blogs that I like to visit. I would love to hear your thoughts. What types of blogs would you like to see highlighted here? Just hit reply to this email and let me know. I have not read this book but have recently added it to my reading list. The blurb reads as follows. “The good news is that anxiety, guilt, pessimism, procrastination, low self-esteem, and other “black holes” of depression can be cured without drugs. 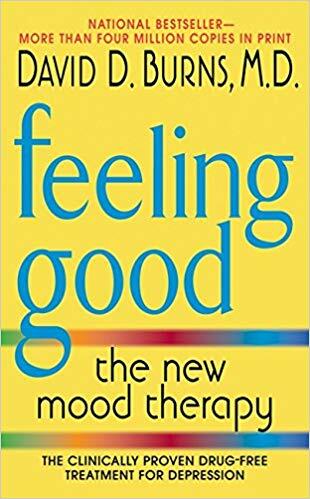 In Feeling Good, eminent psychiatrist, David D. Burns, M.D., outlines the remarkable, scientifically proven techniques that will immediately lift your spirits and help you develop a positive outlook on life. Now, in this updated edition, Dr. Burns adds an All-New Consumer′s Guide To Anti-depressant Drugs as well as a new introduction to help answer your questions about the many options available for treating depression. If you read it before I do, I would love to hear what you think of it. I would love to hear from each and every one of you. Is there a topic you would like to see featured in a future email or blog post? Is there something about your life or blog you want to share? Please comment on any post on Speaking Bipolar. I personally respond to every message I receive. There’s little to update this week. In addition to long hours preparing taxes seven days a week, the beauty of spring has dumped excessive amounts of pollen across the Tennessee Valley. So much, in fact, that in the time between when I got to work the other morning and when I went to lunch, there was so much pollen on my windshield that I could barely see through it! Some say we have one of the highest pollen counts in the world, and when I see the abundance of yellow covering everything or the pollen clouds drifting from trees, I’m pretty sure that’s right. Still, I love spring and all the beauty it has to offer, even if that means I wake up with what feels like sand in my eyes and sneeze my head off throughout the day. I’m eagerly looking forward to having time to work in my yard. Just a few more days, and I get my life back. Until next week, keep fighting. You got this. If you enjoyed this post, you can read the last Monday Motivation post here. Blogs grow the fastest by readers sharing their content. Please share this post with others and on social media. I thank you in advance. Great article! I’m doing my darndest not to procrastinate, but I’m always feeling behind. Like, I’m always working on something that should have been done 3 days ago. I wish I knew how to get ahead of the curve! I’m always working on that myself. Thanks for commenting. Glad you’re able to finish the taxes, I’m sure it was hectic! Thanks for your comment. I appreciate all the good feedback. Trying to decide exactly what direction I want this blog to go.